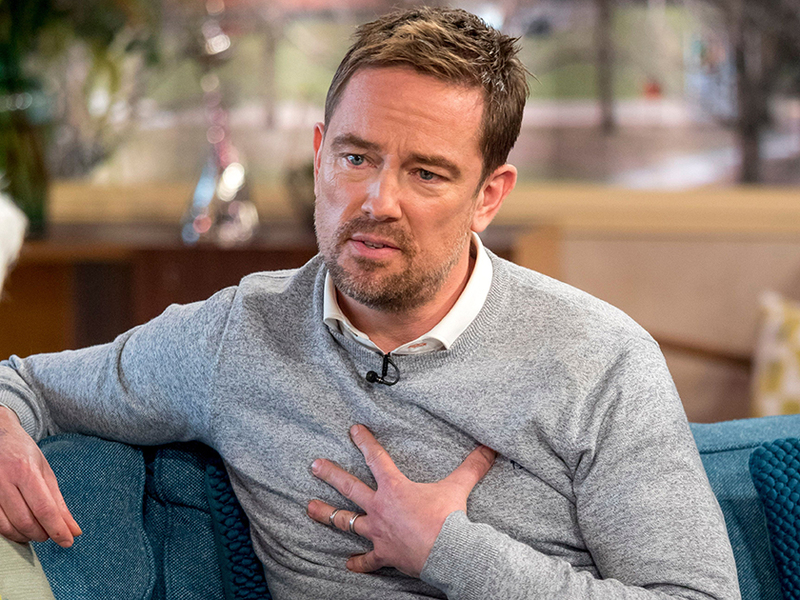 Holly Willoughby and Phillip Schofield broke down on This Morning as Simon Thomas recalled the devastating moment he lost his wife Gemma. The heartbreaking interview saw the Sky Sports presenter discuss his grief after Gemma died suddenly from blood cancer. Back in November, 40-year-old Gemma went to the doctors with a headache, but after three visits to the doctors and a trip to A&E she was eventually diagnosed with acute myeloid leukaemia and died just three days later. Recalling the last night he spent with his wife, Simon told the telly presenters, “The night before our close friends came round and prayed with her and all the results looked promising. But as the star revealed the tragic moment he had to break the news to his eight-year-old son Ethan, mum-of-three Holly couldn’t hold back her tears and had to be comforted by Phil. Overwhelmed by emotion, Holly then grabbed the tissues and praised the dad-of-one for being so brave. 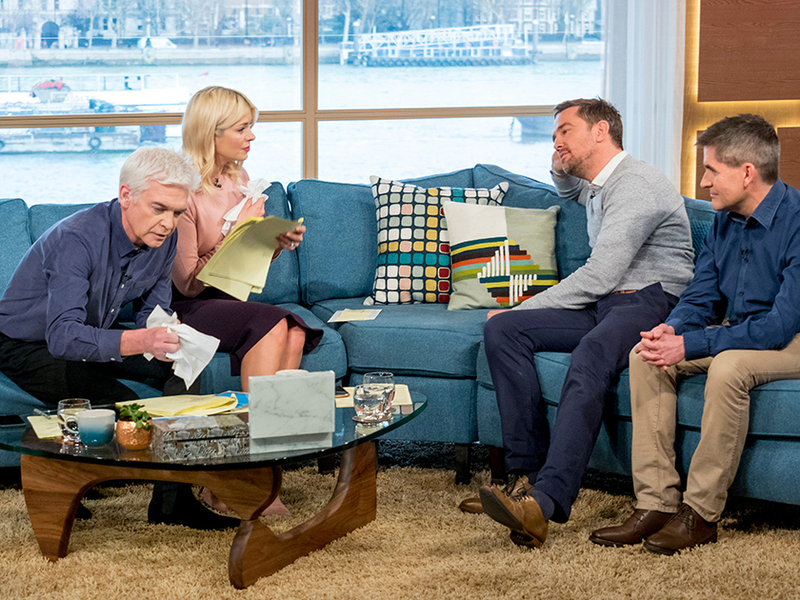 Even 55-year-old Phil was left teary eyed at Simon’s heartbreaking story, as he added that he felt he’d never be able to completely get over the loss of his wife. And it looks like Holly and Phil weren’t the only ones moved by Simon’s words, as ITV viewers took to Twitter to praise the honest interview. Our hearts go out to Simon and his family at this terrible time. From our sister site, CelebsNow, written by Naomi Bartram.